Its 205,563 would-be citizens are already working on ratifying their constitution and forming a government. A non-profit organization under the leadership of Igor Ashurbeyli, wants to put more than a human or two into space — they want to form an entire nation beyond Earth. Their plan is to create the world’s first “space nation” called Asgardia, named after a city in the skies in Norse mythology. Asgardia, which sounds like something out of not just myth, but science fiction lore — has been busy recruiting citizens: to date, 205,563 earthlings have signed up to become Asgardians. The group has even drafted a constitution, which is now in the process of being ratified. While they’re still seeking UN approval, Asgardia is already planning to launch their first presence in space. 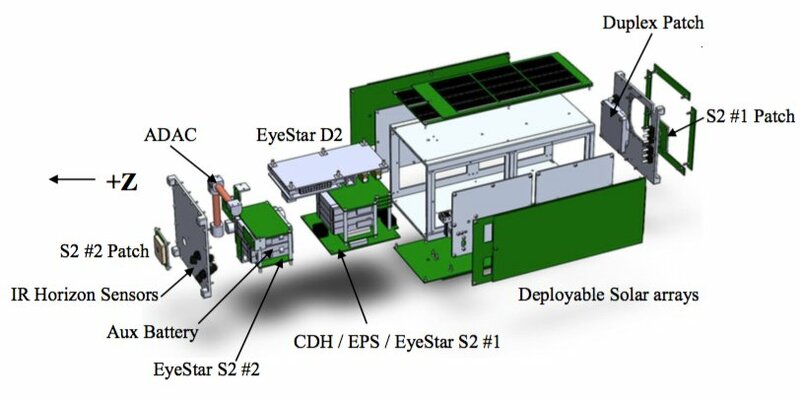 The Asgardia-1, a tiny CubeSat satellite being built by Indiana-based company NearSpace Launch, is capable of storing 512 GB of private data in space. “The first presence of the Asgardian nation, we can now say, will be in space this year,” Jeffrey Manber, CEO of satellite company NanoRacks, said during a June 13 press briefing in Hong Kong. He added that Asgardia-1 “may turn out to be the most important and lasting [idea] that we’re working with.” Asgardia-1 would be launched aboard a NASA-funded mission. Image credit: Asgardia/NearSpace Launch, Inc.
Due to the legal considerations of launching a satellite into space, Asgardia-1 would be launched with the help of funding from several undisclosed organizations, but potentially including Ashurbeyli’s Aerospace International Research. The legal, political, and ethical concerns — while valid — are just one of the many issues Asgardia must hurdle over to make their dream a reality. First and foremost, perhaps, is the challenge of actually putting together a large enough spacecraft. “We’ll start small and eventually people will be going there, and working, and having their own rules and regulations … This facility will become an independent nation,” Asgardia founding member Ram Jakhu previously told Business Insider. Assuming it does get to space, the nation’s new members would still have to learn to cope with the many challenges of living in space for any stretch of time, let alone a permanent arrangement. As astronauts would probably tell you, humankind isn’t built to live in space — which is why visits to the International Space Station are limited to a certain period.